First, make sure that the Shortcuts app is downloaded on your iOS device. If not, you can download it from here. Now, it's time for adding the Add link to put.io shortcut from here. 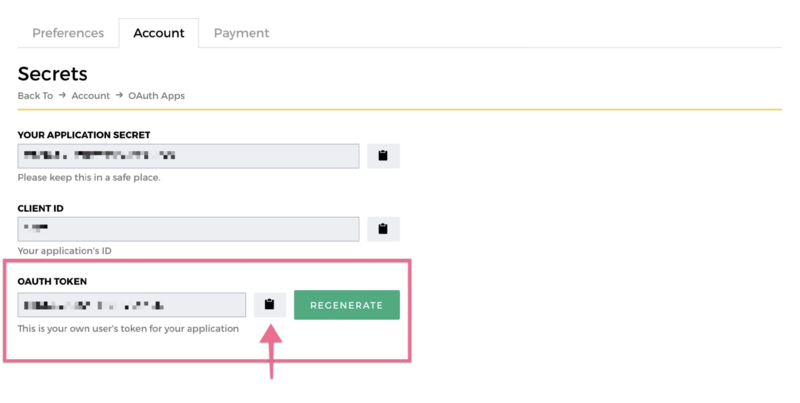 As you can see, you'll need to create a token at put.io to use this shortcut. If you already know how to obtain a token, great! If not, worry not. 😌We'll show you how to do it step-by-step. How can I get a token from put.io? 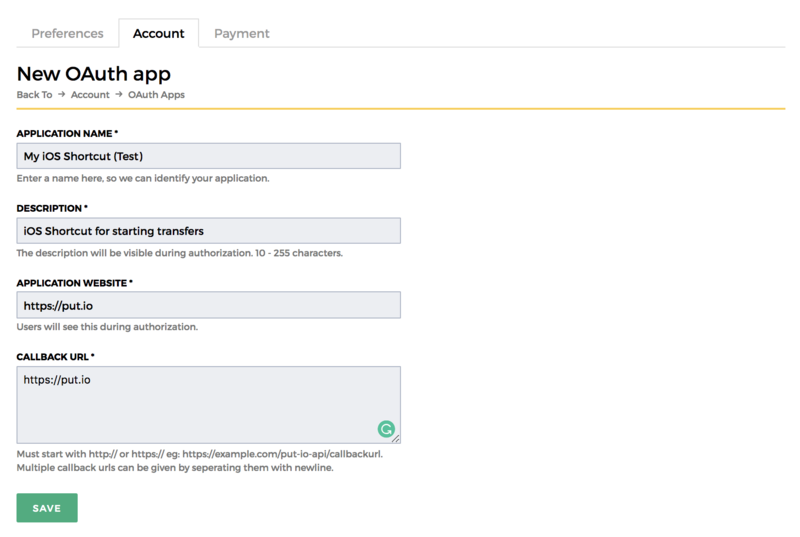 1- Go to Settings -> Account -> Manage Your Applications and click on Create a New Oauth App. Here's a link that'll take you there directly: https://app.put.io/settings/account/oauth/apps/new. 2- Now fill in the boxes. You can name the app however you like. 3- After saving, click on the key icon next to app you just created. It'll take you to the Secrets page and here, you can copy the token created for you. Now, back to adding the shortcut. 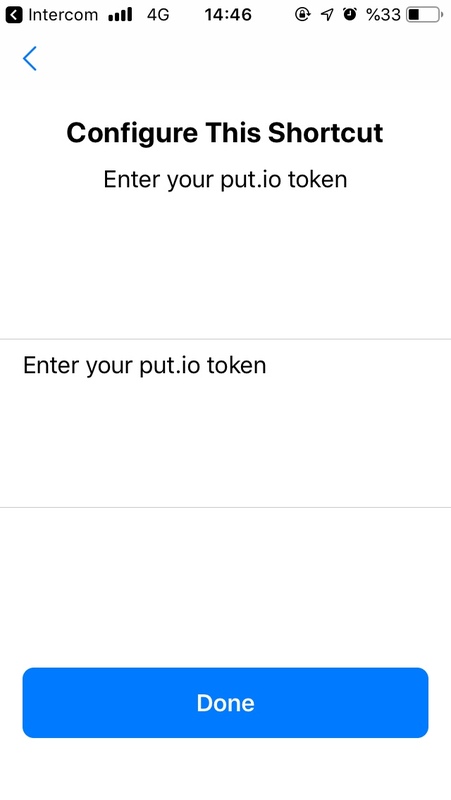 Enter the token into the text area that says "Enter your put.io token". Click on Done and now we're ready to add some transfers! Psst! You can also check out @danieltbratt's shortcut.